BJ Ellis didn&apos;t consider himself to be a funny kid. "I always thought of myself to be a very shy and quiet person," remembers the Pottstown native. "I was the person who didn&apos;t like to read aloud in class. I also liked to sit in front so that I could absorb the information and be out the door when I was done." Nor was he very athletic. "I was in the band," he admits. "I played the baritone horn. It doesn&apos;t take much skill to play a typical baritone horn part - bomp-bomp-bomp-bomp - but even still, I wasn&apos;t very good." He found his niche at Pottstown Senior High School, where he got involved with the theater group. 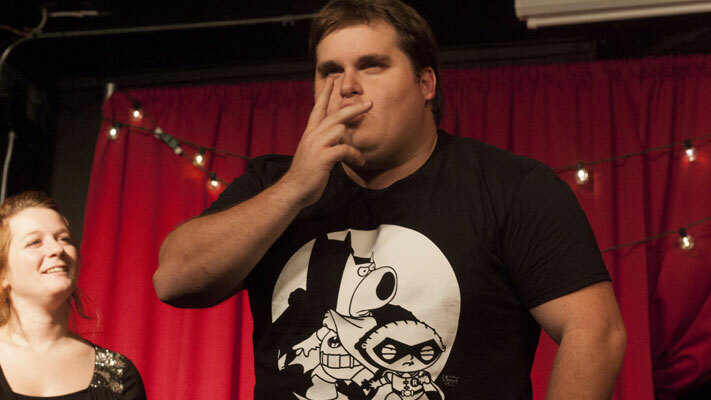 That led to a shot at an improv club in college, where he got hooked on the think-on-your-feet, never-the-same-show-twice format. 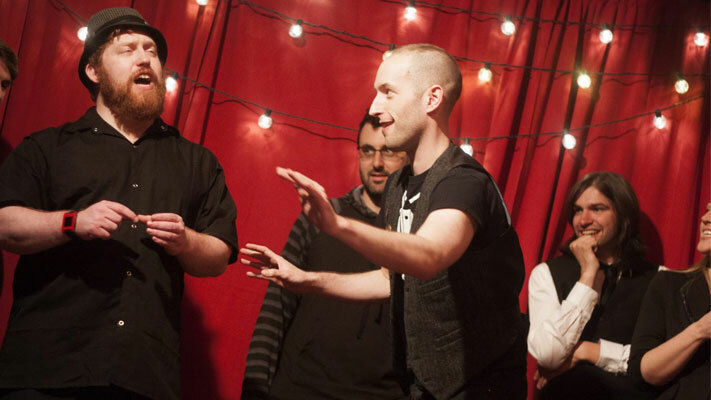 In 2005, he was one of the founding members of The N Crowd, a short-form improv group that has since made a name for itself at venues that include Society Hill Playhouse and the Philly Fringe Festival. The group is appearing January 9 at Steel River Playhouse, bringing Ellis back to his hometown of Pottstown. 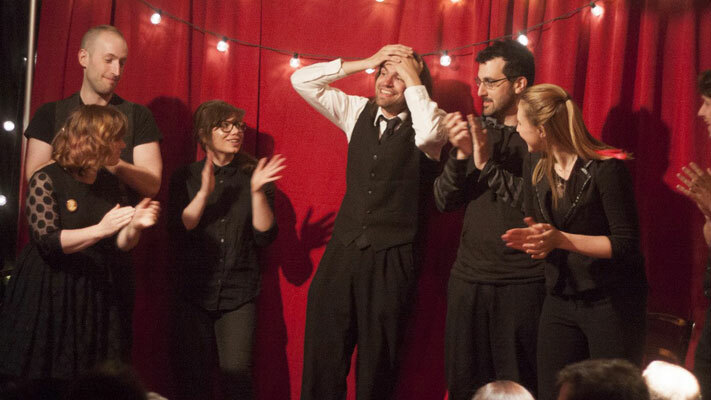 The N Crowd specializes in a style of stage comedy known as short-form improv. The set-up unites a small corps of sharp-witted, fast-thinking people who rely heavily on audience participation to engage in a series of ludicrous scenarios that they refer to as "games." The art was best captured on television with the show Whose Line is it Anyway? Ellis makes a sharp contrast, however, between what The N Crowd offers and what was on Who&apos;s Line: "We don&apos;t use the gimmick, if you will, of giving points for the games we play. We do take suggestions from the crowd for the entire show, but there&apos;s nothing pre-written. Every three to five minutes, we&apos;re asking to yell out a job or an occupation or a favorite color or animal. And we pull people up onstage and have them do stuff with us or help us out. But everything in the show is completely determined by the audience." Surprisingly, The N Crowd cast does rehearse, which seems at odds with its talent of creating spur-of-the-moment comedy. Ellis explains, "We rehearse every single week. It&apos;s kind of like a sport, like a basketball team or a baseball team. They don&apos;t just play a nine-inning game and call it a day for practice. They practice certain skillsets so that when they&apos;re out on the field, those skillsets are already muscle-memoried in. And they can concentrate on more complex things. "That&apos;s kind of like how we operate. We practice certain skillsets, and then when we&apos;re onstage, we can concentrate on making those connections." Keeping the cast moving from situation to situation involves a host, whose role Ellis says is crucial. "We have a host who starts the game, gets us the suggestions from the crowd and ends the game. He or she sort of manages what goes on." Ellis also says the host can maneuver the cast through a situation where an audience suggestion may not play out as anticipated. "There are times when someone makes a choice they thought was hilarious, and it just doesn&apos;t work. But fortunately, there&apos;s always at least one of us who can recognize the struggle and sort of ‘right the ship&apos; so we can get to the end of the game." The N Crowd performances are pitched at adults, but according to Ellis, children (not younger than four, please) and teens are certainly welcome. "In terms of being appropriate for children, I usually say if you&apos;re okay with a Mel Brooks movie, you should be perfectly comfortable here," he states. "But it&apos;s all audience-driven. So if the audience says something that&apos;s maybe a little risqué, we&apos;re going to take every suggestion that comes our way. So if someone says ‘strippers,&apos; we&apos;re going to be classy strippers." Ellis and company have a long history with Steel River Playhouse; this year&apos;s show marks the eighth year running that the group has performed there. "We did a few shows while they were trying to raise money to build the place," he says. 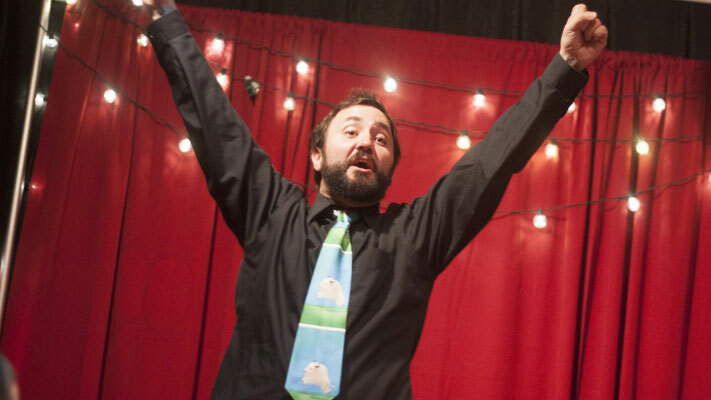 "The Pottstown audience has always been very supportive with a very good sense of humor. It&apos;s always one of the most fun shows we do all year. It&apos;s in one of the nicest facilities, so it&apos;s a show that we always look forward to." The N Crowd performs at Steel River Playhouse on January 9 at 8 p.m. Tickets for adults are $19; seniors are $17 and students are $15. Parking on High Street, across from the theater, is available with a three-hour limit. Longer-term parking is available behind New York Plaza, and spaces in the Shop & Park Lot (High and Charlotte Streets) include handicapped slots.